This week was a bad week for clinical trials. While the FDA put Roche and AbbVie’s multiple myeloma trial on hold after a number of patient deaths; Biogen and Eisai pulled a study of an Alzheimer’s drug after forecasts showed it wasn’t likely to succeed. Pfizer and Merck then discontinued a Phase 3 trial of avelumab as a treatment for advanced ovarian cancer in combination with chemotherapy. Meanwhile Sandoz CEO Richard Francis announced his decision to step down as Pfizer CEO Ian Read saw his pay packet cut by more than $8 million. 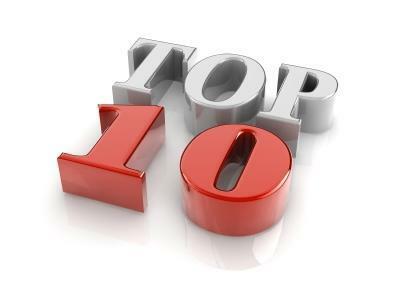 Check out this week’s top 10 most popular stories! Japanese firm Daiichi Sankyo has announced positive results of the first randomised controlled trial of uninterrupted Lixiana (edoxoban) in atrial fibrillation patients undergoing catheter ablation. NICE is set to develop new guidelines for GPs and healthcare professionals setting out rules for doctors regarding opioids and other potentially addictive prescription drugs. Pfizer and Merck KGaA have chosen to discontinue the Phase 3 JAVELIN trial looking into avelumab in combination with chemotherapy as a treatment for advanced ovarian cancer. President Maduro has pledged to relaunch Venezuela’s pharmaceutical industry as part of an effort to address shortages of medicines in the Latin American country. Biogen and Eisai have announced their decision to discontinue a Phase 3 trial looking into the efficacy and safety of aducanumab in patients with mild cognitive impairment due to Alzheimer’s disease.